Kyobashi is as central as you can get in Osaka. It has the distinction of being one of the city's largest business districts while being close to many tourist attractions, most notably Osaka Castle Park. It is known for its shopping and nightlife, especially its numerous izakayas and tachinomi, or standing bars. Kyobashi is a hub both day and night. It is known equally for its shopping and nightlife, especially its numerous izakayas and tachinomi, or standing bars. Kyobashi station is served by JR West’s Osaka Loop Line, Gakkentoshi Line, and Tozai Line; Keihan Railway’s Main Line; and Osaka Municipal Subway’s Nagahori Tsurumi-ryokuchi Line. The Loop Line is just what it sounds like--a large loop that runs both clockwise and counterclockwise and serves Osaka’s major central hubs. Kyobashi is just one stop away from Osaka Station, and is thus a very convenient location to live in for those working in downtown Osaka. Kyobashi is located slightly north of one of Osaka’s major landmarks, Osaka Castle and Osaka Castle Park. Across the river and to the west lies the business district of Minamimori Machi, and beyond that, Osaka’s major commercial hub, Umeda. Being one of the major transportation hubs in Osaka, Kyobashi station has its fair share of shopping and nightlife options. The majority of Kyobashi’s eateries and drinking holes are packed into the shotengai, or covered streets, that wind around the station. Near and within the station are various popular chain coffee shops, restaurants, shops, and department stores. 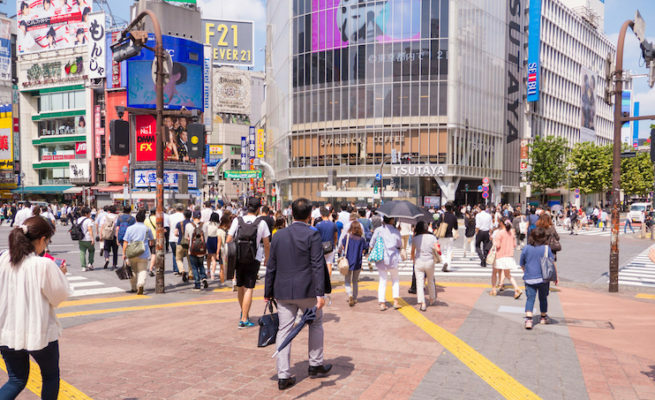 As Kyobashi is a major commercial center of Osaka, come here during the day and you’ll see the standard salary men rushing to work on their commute. Restaurants at noon are full of white-collar types meeting over lunch. You’ll likely also see a fair amount of tourists looking for a bite to eat after visiting Osaka Castle or other nearby destinations. 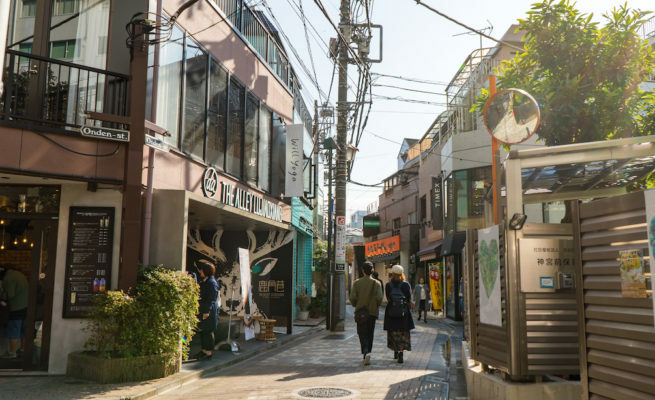 Once the sun sets, Kyobashi becomes an eclectic mix of workers looking for a drink after work, young people looking for a cool new place to chill, and families looking for a good meal. A fried food stand in Kyobashi. Photo: Courtesy of Minna no Gohan. The area surrounding the station is bustling and busy in the best way, a microcosm of the huge city it lies within. It’s exciting, all bright lights and glowing red lanterns beckoning to customers. Just to the south of Kyobashi station lies the famous Osaka Castle Park. One of Japan’s most famous landmarks, Osaka castle was first constructed in the late 1500s and was destroyed by war and fire many times. An exact copy of it stands today and contains a history museum and an observation deck at the time from which you can observe all of Osaka from above. A 12 minute walk west of the station, Fujita Museum features a constantly changing array of Japanese art and artifacts and boasts one of the largest art collections in Kansai. There are several malls in this area. You don’t have to walk far to reach Mall Kyobashi, as it is located above Kyobashi station. 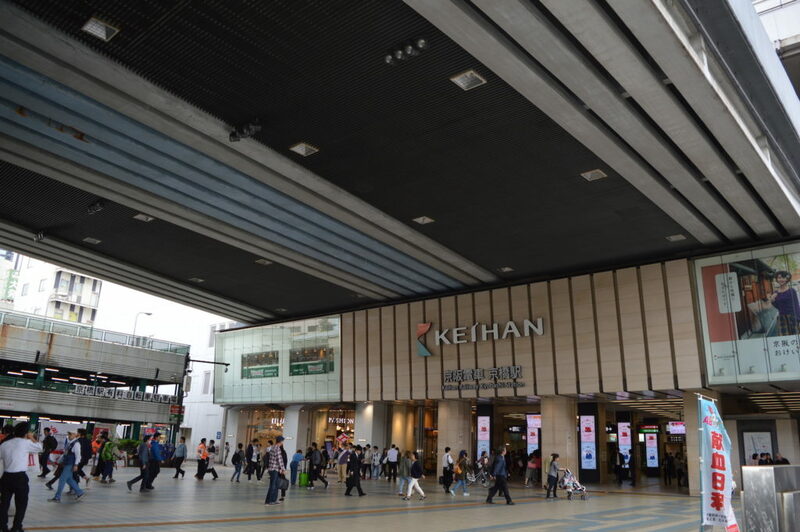 It has a wide selection of shops, as well as Keihan Department store, a chain owned by Keihan Railway that has upscale international and Japanese brands. Just one stop away from Kyobashi station on the Nagahori Tsurumi-ryokuchi line is Osaka Business Park station, which features the International Marketplace, or IMP, which houses an array of independent shops and eateries with a more local and personal vibe than most shopping malls in Osaka. One stop away on the JR Tozai Line is Osaka Tenmangu shrine, one of Osaka’s most famous shrines. It holds one of Japan’s largest festivals each summer that includes a land and river procession and ends in a grand display of fireworks. This area is named after the Kyobashi bridge, which once led to Kyoto. Kyobashi means “capital bridge,” referring to Kyoto as the old capital. Although it is a business district, there are many features of Kyobashi that are family-friendly. Besides the aforementioned Osaka Castle Park and Sakuranomiya Park (both great places for family outings as they have grass you can actually sit on) there are various other parks and playgrounds scattered throughout the neighborhood. Kinder Kids, an international English-immersion preschool and kindergarten in the Kansai and Kanto regions, has a school in nearby Tenma, two stops away on the Loop Line. Abroad International School, another English-immersion school, is located 12 minutes away in Shinsaibashi on the Nagahori Tsurumi-ryokuchi line. Osaka’s family-friendly Museum of Housing and Living is a 12-minute commute away, about a 10 minute walk from nearby Tenma Station. Seijo Ishii, a Western import speciality store popular among foreigners, is located in the Keihan Mall above Kyobashi JR station. As it is mainly a commercial district with easy access to both offices and nightlife, this area is ideal for young professionals, singles and couples alike. Restaurant options abound, and include Japanese staples like shabu shabu (slices of thin meat dipped in hot pot broth) and sushi and local cuisine like okonomiyaki (savory pancakes) and takoyaki (octopus balls). A favorite haunt in Kyobashi is Endo Zushi in the Keihan mall, a second branch of the famous restaurant that has been around for 100 years and is popular with locals and tourists alike (complete with English menu). 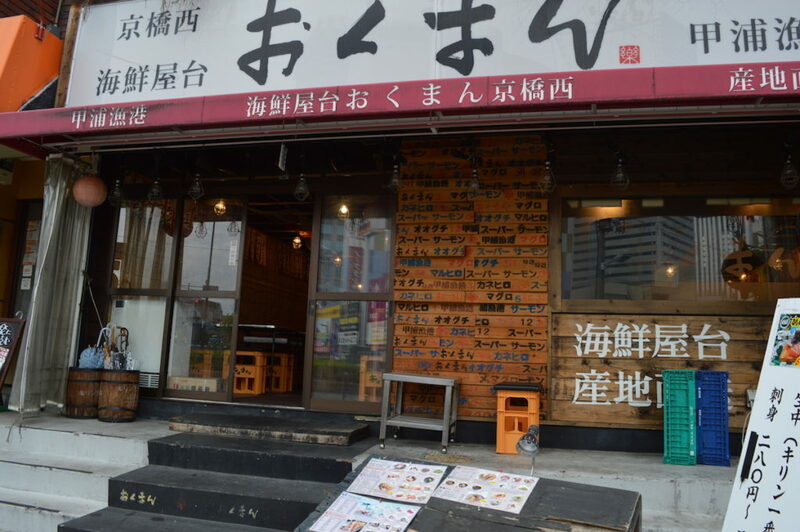 If it’s an authentic experience you’re after, look no further than Nakano, a traditional Japanese izakaya located 1 minute from Keihan station. The atmosphere here is serene; diners sit in private rooms with low tables and tatami mats. There is a range of sake options and local cuisine, including high quality sashimi. Listings for studio apartments in Kyobashi start from around ¥37,000 a month. Live closer to nature and pay lower rent, while still being within commuting distance of central Tokyo. An excellent neighborhood for international students studying at Tokyo Gakugei University, Chuo University Tama Campus, and Meiji University. 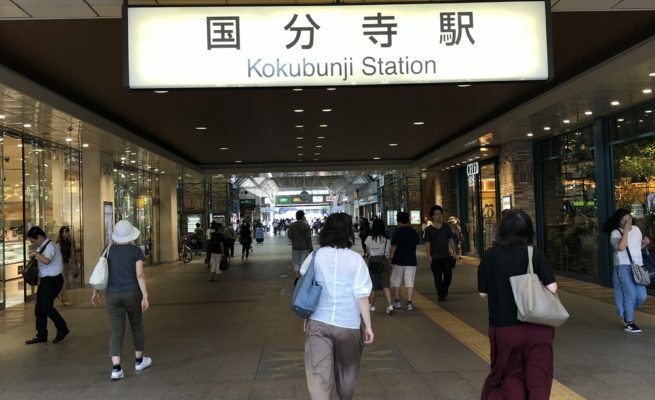 Sakai’s proximity to Osaka but relatively inexpensive real estate makes it ideal for families looking for more space or for those looking for somewhere peaceful that’s not too far from the beaten track. Shibuya is everything to everyone. Every little neighborhood around the station has its own vibe. It runs the gamut from low cost single-room micro-apartments to massive, luxurious seven-bedroom manors. Street food to Michelin-starred gourmet dining. Back alley smoking areas to young, fashionable vape cafes. Mass market department stores to one-of-a-kind designer boutiques. It’s every aspect of Tokyo life distilled into one location.